Puku are fawn-coloured members of the Reduncici (water dependent antelope, often with forward-facing horns) tribe of antelope, with reddish-brown legs, shaggy fur and large, furry ears. 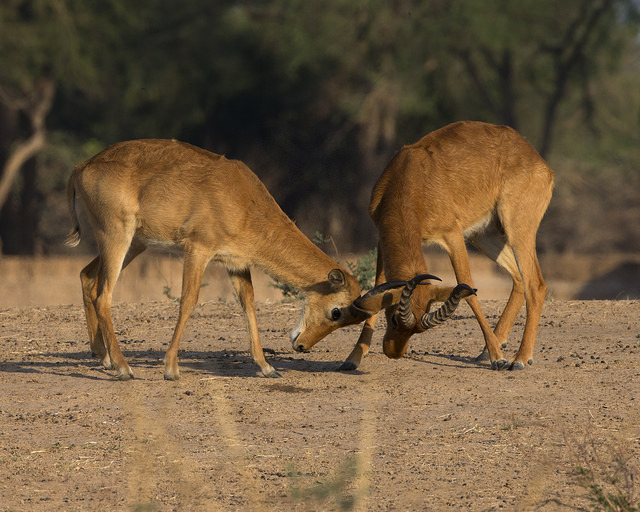 This antelope can be found in groups of males or females (3-15 individuals) throughout most of the year, but smaller herds come together in the dry season to form herds of 50 or more. 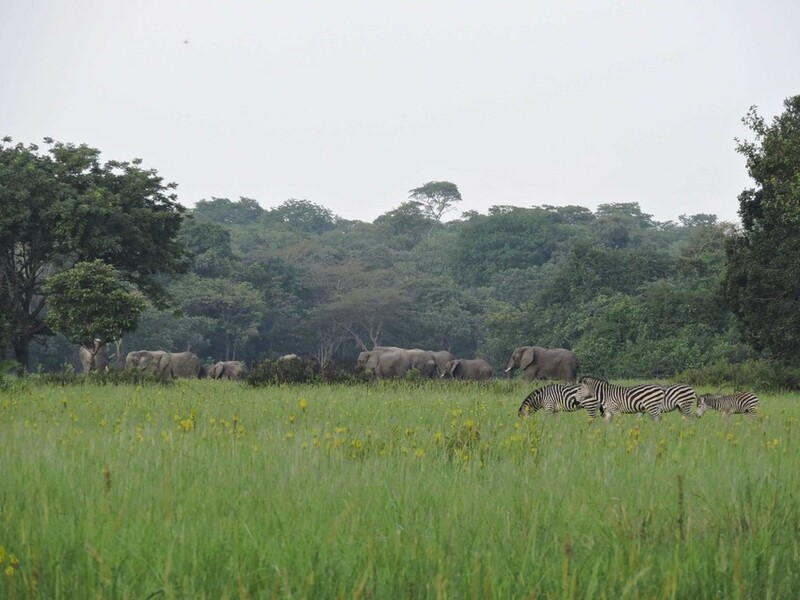 During the wet season, mature males will defend small territories through which females migrate, looking for food. In areas with substantial differences in food between the dry and wet seasons, puku give birth during the wet season when food is available and vegetation provides cover for calves. Found only in south-central Africa, one of the traits of the Reduncini tribe which Puku belong to (with lechwe, waterbuck and reedbuck) is water dependence, as populations are rarely found further than a few miles away from water. For Puku, this means moist savanna, floodplains, swamps and riversides. They now occur in a series of isolated populations, due to habitat destruction, but large numbers survive both in Tanzania and Zambia. Puku are easy to approach during the dry season when they have gathered in large herds on floodplains, and are hunted for bushmeat and their skins. Habitat fragmentation due to human developments and land use change is also affecting Puku populations, particularly when cattle herds are grazed on floodplains. Their social and breeding system is seriously disrupted by these changes. However, their numbers appear to recover well where hunting pressure is reduced.